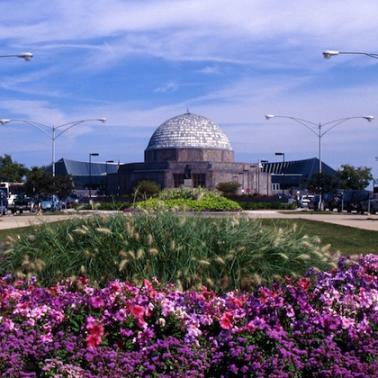 Discover the Shedd Aquarium, Field Museum and Adler Planetarium all on one picturesque lakefront museum campus. 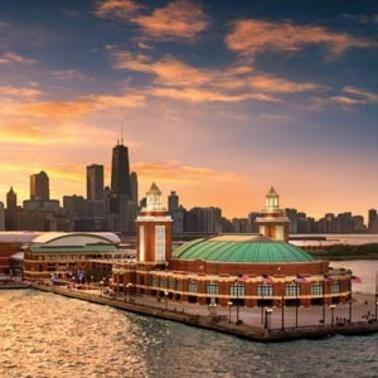 We’ve created this Chicago Museum Campus 101 hit list to direct you to the must-see permanent exhibits not to miss. 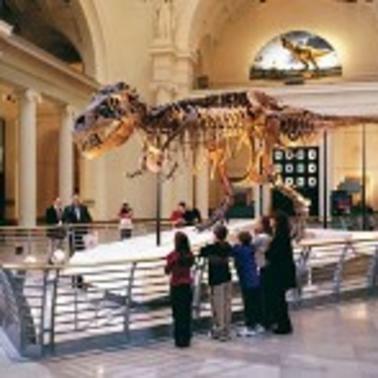 Also visit Chicago&apos;s Museum Campus and Free Museum Days for more info. 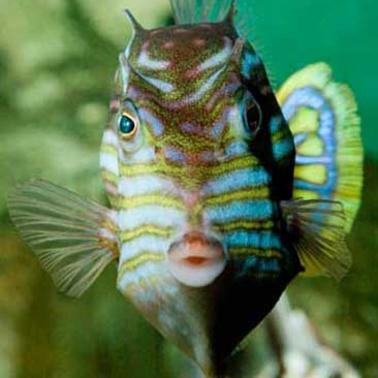 The Shedd is home to more than 32,000 aquatic animals, some of which you can actually touch and interact with. 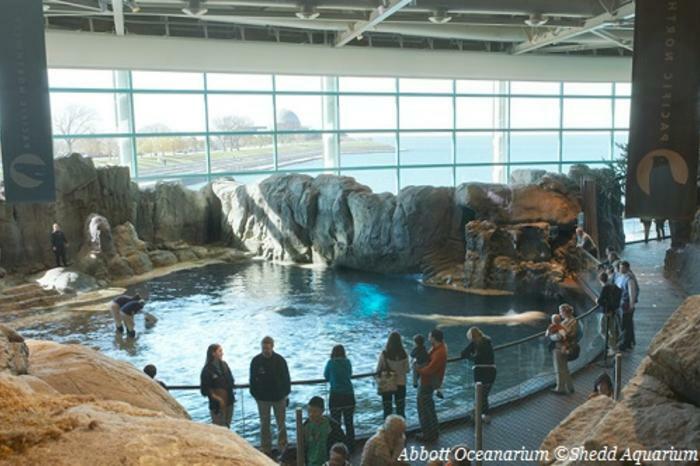 But the stars of the show are the beluga whales and Pacific white-sided dolphins housed in the Shedd’s stunning Abbott Oceanarium. Designed to mimic the coastal ecosystem of the Pacific Northwest, this exhibit is surrounded by rocky outcroppings and floor-to-ceiling windows that overlook the blue waters of Lake Michigan. This is where you’ll see dolphins leaping and beluga whales showing off during aquatic shows. For a different perspective, head to the underwater viewing gallery, where you can watch the torpedo-like dolphins zip through the water at speeds of up to 25mph or come face-to-face with a smiling beluga whale. It’s here that you’ll also find the Polar Play Zone, where kids can dress up as a penguin or play scientist and explore ice caves. Visit the Wild Reef, a recreation of a coral reef in the Philippines, and get a diver’s-eye view of menacing sharks, stingrays and live coral. A long-time favorite is the Caribbean Reef, a tank you can actually walk around to get a 360-degree view of the sharks, sea turtles and moray eels that swim by. Visit during one of the daily feedings and you’ll have a chance to speak with divers as they tend to the hungry residents. And don’t miss the 4-D Experience, where your movie theater seat vibrates and you’ll feel water mist as you’re plunged into an underwater feeding frenzy on the South African coast. Unlock the secrets of natural history at The Field Museum. As you enter Stanley Field Hall you’ll be greeted by the Field&apos;s newest resident, Maximo, a massive Titanosaur, measuring a staggering 122 feet from snout to tail. 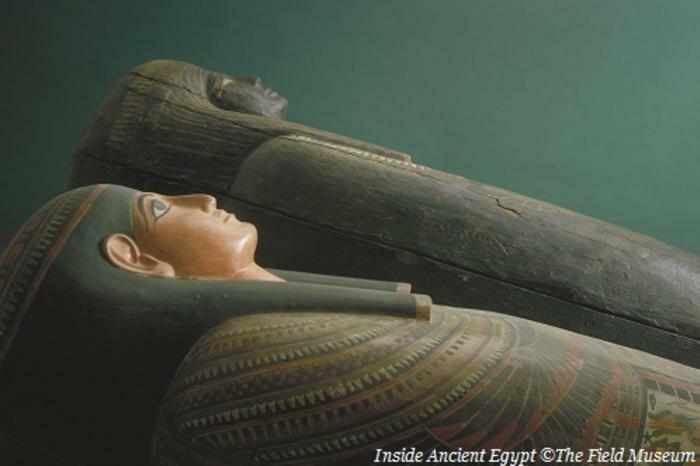 Then head underground and explore the timeless mysteries of an Egyptian tomb at the Inside Ancient Egypt exhibit. Walk through the rooms of a 5,000-year-old tomb, discover fascinating hieroglyphs, see one of the largest collections of mummies in the United States, wander through an Egyptian marketplace and visit a shrine to Bastet, the cat goddess. If you’re a dinosaur lover, head to the Evolving Planet exhibit. Here you’ll find the museum’s impressive dinosaur hall, with a vast collection of dinosaurs depicted in their natural environments. Then shrink down to the size of a bug in Underground Adventure, where you’ll go under the soil and meet denizens that include a giant mole cricket and wolf spider. Don&apos;t forget to get a glittering look at some of the most beautiful jewelry in the world at the Grainger Hall of Gems, where you’ll learn how rough gems are transformed into spectacular works of art. Exquisite rare jewels and gold objects, along with amazing creations by top designers, are on display. It’s no wonder this exhibit has inspired so many marriage proposals! 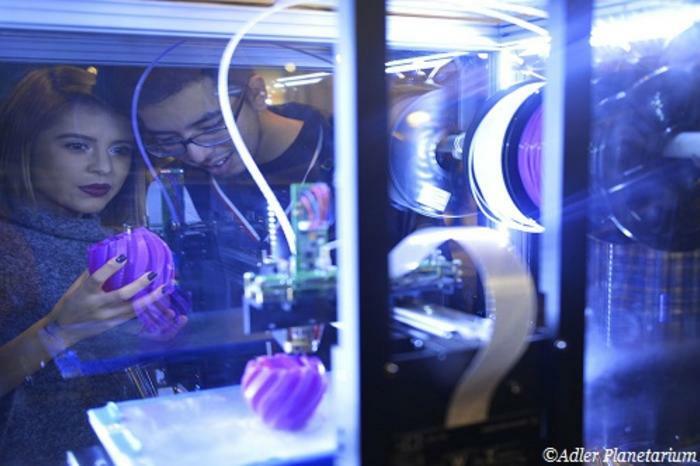 Explore infinity and beyond at the dazzling Adler Planetarium. Catch a show in the state-of-the-art theater, where you’ll zoom into space to explore mysterious planets, swirling galaxies, and brilliant stars. Check out the Mission Moon exhibit, where you can launch a stomp rocket, get a peek inside the Gemini 12 spacecraft and experience America’s first steps on the moon through the eyes of NASA astronaut Jim Lovell. Touch an actual moon rock and examine a meteorite that crashed to earth in the Our Solar System exhibit, while The Universe: A Walk Through Space and Time takes you on a journey from the universe’s humble beginnings over 13.7 billion years ago to today. You’ll see some of the most beautiful objects in deep space magnified in ultra-high resolution from some of the world’s most advanced telescopes. If it’s open (check at the box office), you can see telescope views of the sun at the Doane Observatory. Find out what the Adler’s scientists are up to in the working Space Visualization Lab, where astronomers give live presentations. Kids love to play in the Community Design Lab, where they can use unusual supplies like marshmallows, popsicle sticks and bubble wrap to find imaginative ways to interact with the universe. And little ones love Planet Explorers, where they can operate the controls in a two-story rocket and man the Space Station. 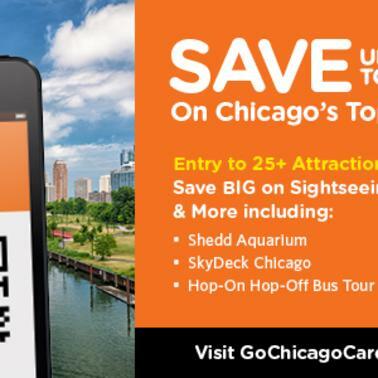 With the Go Chicago Card you can pick from more than 25 Chicago attractions, saving up to 55% on top museums and tours. 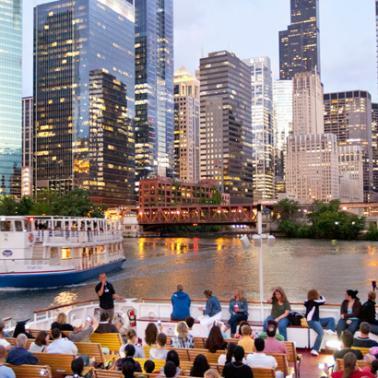 Choose as you go or use a sightseeing itinerary created by Chicago travel experts. 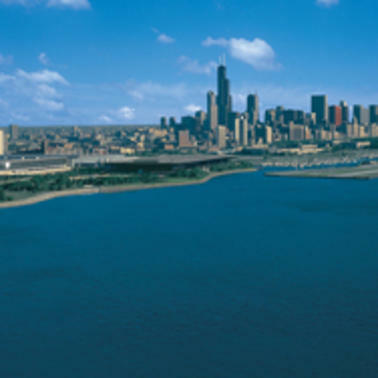 The All-Inclusive Pass is available in 1, 2, 3 or 5-day passes, and is the only one that includes the Shedd Aquarium. You can use your pass right on your phone with the free Go City Card app. 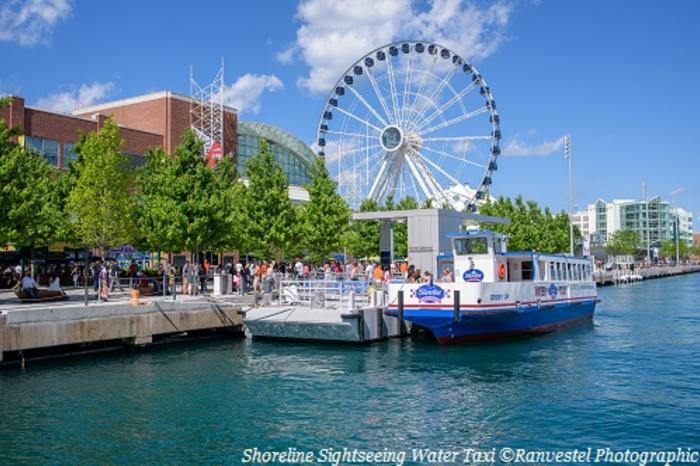 A fun way to get to the Museum Campus is to take a Shoreline Sightseeing Water Taxi from Navy Pier, which lets you off right at the Shedd Aquarium. The CTA #130 Museum Campus bus departs from the Union Station and Ogilvie train centers, and makes stops downtown along the way. Or take the CTA Red Line train to the Roosevelt stop and catch the CTA #146 Inner Drive/Michigan Express/Museum Campus bus.